Please read this Privacy Statement carefully to understand how we treat Personal Data. 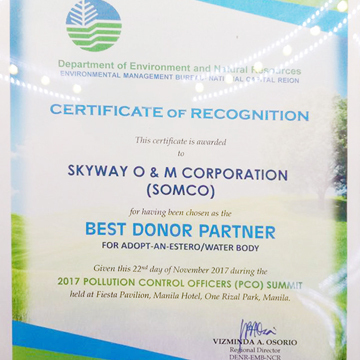 Should you have any questions and/or concerns regarding this Privacy Statement, SOMCO’s use of your Personal Data and the Collected Data, or your rights in relation there to under the Data Privacy Act of 2012, you may send an e-mail to the SOMCO Data Protection Officer at somco-dpo@skyway.com.ph and (+632) 875-9929. I accept the terms in the SOMCO PRIVACY STATEMENT. Oops! Please check the terms and conditions checkbox.